Egypt is definitely the worlds best dive destination. Diving in Egypt offers everything from onshore dive sites to distant Islands, shallow reefs to spectacular vertical drop offs, ancient ship wrecks and yet to be discovered treasures. The sheer number of dive sites is mind boggling . Our list of itineraries will provide you with all kinds of dive adventures for you to choose from. Weather you like ship wrecks, reefs, sharks or a pleasant mix of them all; you will find what you need here. The marine life in Egypt can only be described as glorious. Egypt has been blessed with an amazing eco system which has shown incredible resilience to the effects of coral bleaching. Also in the early 1990’s an NGO was formed to protect the marine environment from common modern plagues such as over fishing and waste dumping. This organisation, called HEPCA was founded by a small group of concerned divers and has grown into an internationally recognised partner in environmental protection which is accredited to installing the world’s largest ever mooring system. In terms of accessibility Egypt is easy to get to from anywhere in Europe, Russia, Ukraine and even China due to the abundant scheduled and charter flights. Hint: For pure ship wreck divers try out the northern routes! For shark lovers, have a look see at our itineraries that include Daedelous Reef! We can also customize a trip for your group upon your request so let us know if you have something in mind that you don’t find here..
An excellent route for Wreck lovers and Sharm lovers alike. The added value of Tiran Island with it's Hammer Head opportunities make it an undeniable treat. Ras Mohamed is an old fabled dive site where millions of divers have had their dreams come true. Especially true in the mating seasons when hundreds of species a of large fish congregate there. Although it can be a little crowded, no diver has ever left here disappointed. Also a hop and a skip from the Great Tiran Island and Jackson Reef! Abu Nahas also offers divers an excellent enclosure in which to settle between dives making it an excellent second day to any Safari. The second half of the eighteen hundreds was an era when tall ships ruled the trade routes, beautiful slender vessels that overlapped the time of sail and the time of steam. The Carnatic was one of those proud ships. With 34 passengers she was trafficking the route Suez – Bombay – china for The Peninsula & Oriental line under the command of Captain P.B. Jones and his 176 members of crew. The cargo was cotton bales, copper sheets, Royal Mail and £40.000 of Spices. Just after midnight September 12th 1869 The Carnatic hit the reef of Shaab Abu Nuhas. The night was tranquil and the brakes over the reef didn’t give its position away until it was already too late to correct the course. The Carnatic ran aground and was firmly stuck on of the reef. However, the situation seemed safe and Captain Jones was sure that the pumps would be able to rid the inflowing water. He trusted the P&O liner Sumatra, that was due to pass shortly, would be in time to help. For more than 48 hours he was right but before The Sumatra steamed into sight the reef ate through the iron hull and The Carnatic broke in two. The aft section was ripped off, rolled over and sunk followed by 5 passengers and 26 of the crew. This caused the bow to re-float, roll over to the port side and disappear beneath the waves. The remainder of the passengers and crew saved themselves into the lifeboats that came off as The Carnatic sunk and went for safety on Shedwan Island. All the £40.000 worth of specie was recovered and the myth of “half the treasure still waits to be found” is just that; a myth. This wreck is likely to be one of the most beautiful in the Red Sea. The wooden deck is long gone and the metal framing is covered with soft coral offering exquisite photo opportunities. The stern-section is resting on port side with the rudder and propeller screw in 26 meters of water. The mid section is collapsed but still an interesting part of the dive. Here you find the boiler, funnel and the two masts that are reaching out over the sandy seabed. Like the stern, the bow is a framework of metal incrusted by one hundred and fifty years worth of coral growth. Where the bowsprit once was attached a peeping hole now opens for a classic and world famous camera angle. Once the wreck was full of wine bottles but years of souvenir-hungry divers have deprived The Carnatic from this treasure. Now all you can find is a few broken bottles here and there. See but not touch is the rule here. The Kimon M is the deepest of the Red Sea wrecks within recreational diving depths here. Its stern lies on the seabed at 32m, with its bow shallower at 15m. This 120m German cargo vessel sank on 12 December 1978, laden with lentils. Initially the boat sat upright on the reef but later currents and wind pushed the ship into deeper water on its starboard side. Much of its cargo and engine were recovered after its sinking. The wreck harbors several different species of pipefish. The Seastar is the 5th shipwreck at Abu Nuhas, but since it lies in water 90m deep, it is not frequently dived, and certainly not by recreational Red Sea divers. Umm Gammar is named after it's moon shaped land mass. Thus the name The one that looks like the moon or Umm Gammar in Arabic. This dive treats visitors to caves and amazing land scapes. Ask your dive guide to go here during the Emperor season for a special treat. Thistlegorm is one of the worlds most famous ship wrecks mainly due to it's amazing history and brave crew. The dive is an amazing experiance and a strong testament to the horros of war. Dive here with respect to our grandparents! The SS Thistlegorm was a British armed Merchant Navy ship built in 1940 by Joseph Thompson & Son in Sunderland, England. She was sunk on 6 October 1941 at Shaab Ali. The SS Thistlegorm was built by Joseph Thompson & Sons shipyard in Sunderland for the Albyn Line and launched in April 1940. She was powered by a triple-expansion steam engine rated to 365 hp (272 KW). The vessel was privately owned but had been partly financed by the British government and was classified as an armed freighter. She was armed with a 4.7-inch (120 mm) anti-aircraft gun and a heavy-calibre machine gun attached after construction to the stern of the ship. She was one of a number of "Thistle" ships owned and operated by the Albyn Line, which was founded in 1901, based in Sunderland, and had four vessels at the outbreak of World War II. She set sail on her fourth and final voyage from Glasgow on 2 June 1941, destined for Alexandria, Egypt. The vessel’s cargo included: Bedford trucks, Universal Carrier armored vehicles, Norton 16H and BSA motorcycles, Bren guns, cases of ammunition, and 0.303 rifles as well as radio equipment, Wellington boots, aircraft parts, and two LMS Stanier Class 8F steam locomotives. These steam locomotives and their associated coal and water tenders were carried as deck cargo and were for the Egyptian Railways. The rest of the cargo was for the Allied forces in Egypt. At the time the Thistlegorm sailed from Glasgow in June, this was the Western Desert Force, which in September 1941 became part of the newly formed Eighth Army. The crew of the ship, under Captain William Ellis, were supplemented by 9 naval personnel to man the machine gun and the anti-aircraft gun. Due to German and Italian naval and air force activity in the Mediterranean, the Thistlegorm sailed as part of a convoy via Cape Town, South Africa, where she refueled, before heading north up the East coast of Africa and into the Red Sea. On leaving Cape Town, the light cruiser HMS Carlisle joined the convoy. Due to a collision in the Suez Canal, the convoy could not transit through the canal to reach the port of Alexandria and instead moored at Safe Anchorage F, in September 1941 where she remained at anchor until her sinking on 6 October 1941. HMS Carlisle moored in the same anchorage. There was a large build-up of Allied troops in Egypt during September 1941 and German intelligence (Abwehr) suspected that there was a troop carrier in the area bringing in additional troops. Two Heinkel He-111 aircraft were dispatched from Crete to find and destroy the troop carrier. This search failed but one of the bombers discovered the vessels moored in Safe Anchorage F. Targeting the largest ship, they dropped two bombs on the Thistlegorm, both of which struck hold 4 near the stern of the ship at 0130 on 6 October. The bomb and the explosion of some of the ammunition stored in hold 4 led to the sinking of the Thistlegorm with the loss of four sailors and five members of the Royal Navy gun crew. Mr. Rejda single-handedly saved most of the sailors by swimming into the wreck and towing them to safety. The survivors were picked up by HMS Carlisle. Captain Ellis was awarded the OBE for his actions following the explosion and a crewman, Angus McLeay, was awarded the George Medal and the Lloyd's War Medal for Bravery at Sea for saving another crew member. Most of the cargo remained within the ship, the major exception being the steam locomotives from the deck cargo which were blown off to either side of the wreck. 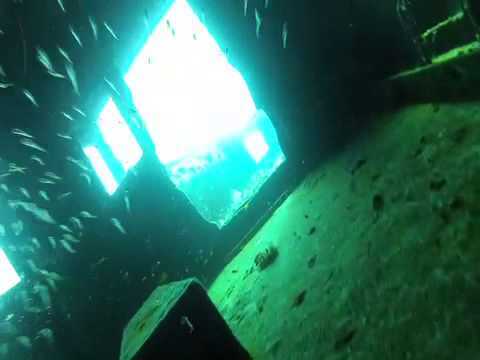 The Rosalie Muller is an excellent wreck dive if only for the amazing artificial reef she has created. Some divers actually opt to stay here for a couple of days to make sure that they have seen everything they can while most are content with just the one dive. Another great thing about Rosalie is her location! Just 15 minutes by boat, we can visit an EXTREMELY friendly pod of Dolphin who simply LOVE divers! "Deep Voyage dives the Rosalie Muller totally different than anyone else simply because we recognize how much of an awesome dive it is!!! Tiran Island is another addition that makes Deep Voyage unique since we are one of the very few who visit that far off the regular Norther Wrecks and Reef route. 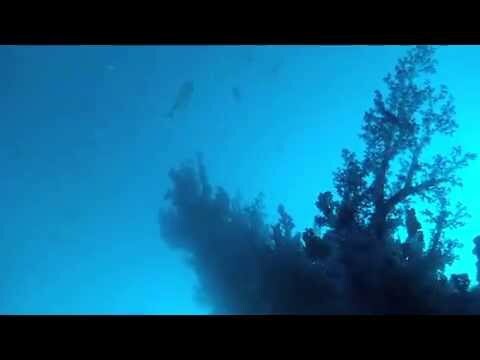 Enjoy Jackson Reef, Thomas Canyon and the exciting ship wrecks this unique dive area have to offer! Spend a day or even two to saturate your senses with all that this amazing Island has to offer. Be sure to ask your dive guide to go visit the Hammer Head Sharks!!! Lucky divers who reach Gubal Island in good weather may enjoy this dive. The Ulysees is covered by abundant marine life and Corals and simply makes a great dive. The Ulysses is another "grandfather" wreck of the Red Sea. Travelling from London to Penang and under the command of Captain Arthur Bremner, she struck the reef on the east side of Small Gubal Island on August 16th 1887. She was carrying a mixed cargo, much of which was manually unloaded by the crew of the HMS Falcon, which came to her assistance. This was done whilst she was stricken on the reef top. Some of her cargo of large drums of cable was not salvaged and now lies on the coral slopes amongst the wreckage. I have often heard this wreck referred to as "The Cable Wreck". After a valiant fight she finally slipped beneath the waves sometime between 20th August and 6th September 1887, sinking 18 years after the Carnatic (which hit the not too distant reef of Abu Nuhâs). Very similar in construction to the Carnatic she was a British sail and steamship, steel hulled and of "iron framed planked" construction. 95 metres in length she had a beam of just over 10 metres making her sleek in design for that time. Today, well over 100 years later, the Ulysses is a stunning dive site. Her location means that she is not one of the most dived wrecks in the area - in fact to the contrary, very calm conditions are required to dive her. The outside east side of Small Gubal Island is located on the edge of the Straights of Gubal facing directly into the oncoming north to south current. The current here can be very strong and the surface swell is often large making boat mooring near impossible. The normal way to dive here will be a long boat ride from the south side of Bluff Point in your dive vessels tender or RIB. Once in the water, if the current isn't strong, head to the stern section which is the deepest and most intact part of the ship. With a maximum depth here of 28m you will see distinct similarities between the Ulysses and the Carnatic. Her deck planking has long since gone, opening up her rear section like a giant rib cage. Glassfish and sweepers have congregated here in their hundreds making for some lovely photographs. It is easy to swim into the stern section (take care as soft corals cover the wreck) and the missing decking means that exit points can be easily found. As you head amidships most of the ship is badly broken and you will see a number of large cable drums. The bow (as shallow as 6 metres) is very broken having been constantly battered in the shallow waters, however a multitude of Red Sea fish, such as antheas, bannerfish and hoards of butterflyfish drift lazily around the wreckage. The coral reef here is also impressive with layer upon layer of stone corals, acropora table coral and raspberry coral. Carless Reef is now an amazing haven for a VAST variety of fish and corals. This dive is a one of Hurghada's secret pearls where many divers have fallen in love with Hurghada and decided to stay and live here! Carless Reef stand testament to the robust Red Sea marine environment since this amazing place fell victim to the 1999 Crown of Thorns outbreak which saw Carless Reef eaten to the bone leaving the corals bleached and dead. Now Carless Reef is as good as new after just 15 years of self rehabilitation and is back to it's former glory! The nature of it's location and undergrown reef, Carless is a dive for good weather and advanced divers!!! Built in Japan, as a Bulk Carrier with additional facilities for transporting vehicles, the Million Hope was launched as the "Ryusei Maru" in 1972. She was a very large ship - displacing 26,181 grt and measuring 174.6m x 24.8m with a draught of 10m. Her bridge castle is located at the stern behind 5 cargo holds - in between which are four massive cranes towering high above the decks. The ship was powered by two 6 Cylinder diesel engines capable of producing 11,600 bhp and a top speed of 17 knots. The ship had several names during her lifetime before being purchased by the Aksonas Shipping Co Ltd of Limassol, Cyprus for 136 million in 1996. It was at this time she was finally renamed "Million Hope" and promptly insured for 41 Million. Only six weeks later, she became a constructive total loss. Loaded with a 26,000 ton cargo of Potash and Phosphates, the Million Hope sailed from Jordan's only port of Aqaba on 19 June 1996 - destination Taiwan. Visibility, however, quickly deteriorated and early on 20 June the vessel struck the inshore Reef near Nabq - on the western shores of the Gulf of Aqaba, approx. 3 miles north of Sharm El Sheikh. Lloyds List dated 24 June 1996 carried the following item under "Casualty Report:"
Jun 21: Egyptian Maritime Officials said yesterday they were concerned about possible leakage of about 23,000 tons of phosphate and potassium plus 700 tons of fuel from the bulk carrier Million Hope which sank off Egypts Sinai Peninsular, Cairo radio reported. All 25 members of the crew ere rescued by Egyptian naval vessels and other vessels in an operation that lasted more than 20 hours. The vessel, on voyage from Jordan to Taiwan, was ripped open by coral reefs near Egypts Sharm El-Sheikh resort. The vessels mainly Filipino crew huddled in the stern and refused to abandon ship until it became clear the vessel would sink, Cairo radio said. Some of the crew accused the vessels master of failing to follow the areas prescribed navigation routes and of maintaining speed despite poor visibility." The cargo actually comprised 15,000 tons of Potash and 11,000 tons of phosphate rock and the big concern was that this would slowly dissolve in seawater - producing an algae-like film that would blot out essential sunlight from all adjacent reefs. Major Salvage companies were, therefore, invited to tender for the salvage of this cargo which was separately valued at 1.3 million. This operation was successfully carried out.